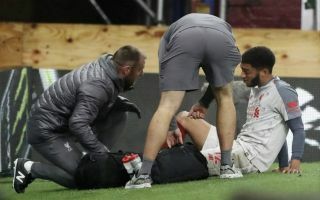 It has been revealed that Liverpool defender Joe Gomez will likely need surgery to heal his fractured leg, with the Reds hoping to win the title, this could be a major setback. According to Mirror Football, Gomez suffered several setbacks during his recovery so far, which means surgery may be required to heal his hairline leg fracture. Liverpool are currently facing a crisis in defence, Trent Alexander-Arnold is still sidelined and the 20-year-old isn’t expected to be back for Liverpool’s clash against West Ham on Monday night. The Reds have a perfectly fit right-back – Nathaniel Clyne, out on loan which has left fans confused as to why the England international was allowed to leave despite being the only experienced backup to Alexander-Arnold . In the last two games James Milner and Jordan Henderson have been makeshift right-back’s, a very risky move by Jurgen Klopp. Klopp has some big decisions to make. With a Champions League clash against Bayern Munich on the horizon the German can’t afford anymore injuries. Dejan Lovren is also injured for the Reds and the Croatian is also expected to miss Liverpool’s trip to West Ham on Monday, Klopp could be forced into tinkering his team and playing some players out of position on Monday. “Does he need an operation? “I don’t know. We will see. It is possible, probably. “It is not exactly going how we want, he needs more time. We will see exactly how we do it. There were different moments we thought we could do this or that and then it was not exactly how we thought (it would be). The Reds are five points clear of Manchester City and this is the best chance they’ve had in years to win a much-needed league title, it would be a shame for them to fall of the rails due to an injury-stricken squad. 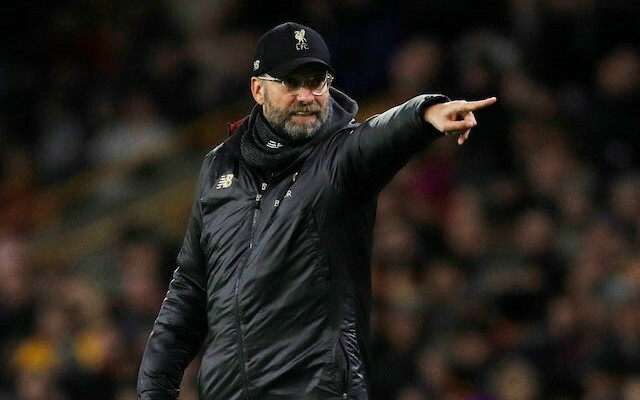 The general consensus among Liverpool fans is that the Reds should have added cover in the January transfer window, fans will blast Klopp for his decision not to sign anyone if they fail in their hopes to win the league this season. 14 games from winning the league for the first time in 3 decades and we used the January window to weaken the squad ????? Klopp didn’t even go into the market? 2 centre backs, one right back. What a joke!! And we didn’t wanna strengthen our squad whilst in a position of strength ? baffles me! If this derails our title challenge then Klopp will have a lot of questions to answer too!